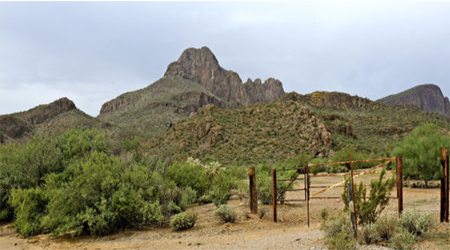 Marana, Arizona – The Lazy K Bar Ranch Specific Plan is back in the news. A request for recommendation to the Marana Town Council is coming up next week for rezoning for redevelopment of approximately 103 acres of land from RR (Resort and Recreation) to F (Specific Plan) for the purpose of establishing the Lazy K Bar Ranch Specific Plan; and, a request for recommendation for approval of a minor amendment to the Marana General Plan. Lazy K Bar Ranch began as a homestead in 1928 and was converted to a guest ranch 8 years later. It reached its peak as a guest ranch in the 1950s and closed to the public in 2007. 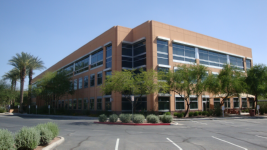 The property is located at the west terminus of Pima Farms Road, west of Scenic Drive alignment in the northwest submarket of Tucson. The owners of the Lazy K Ranch, Amy Shiner and Peter Evans, tried to rezone the property for subdivision development in 2014. The project had passed the Planning Commission, but was rejected by the Marana Town Council when it sparked controversy with the neighbors at that time. The council rejected the rezoning by a vote of 5-1, with one member absent in 2014. The Planning Center’s current proposal seems to have worked through those controversial issues with neighbors and developer. The owners bought the Lazy K Ranch in 1998, when it was still part of Pima County, with SR zoning that allows for 3.3-acre home sites. In 2004, when Lazy K was annexed into Marana, it was zoned to allow for a number of uses, including residential development and recreational resort for a guest ranch style resort. Annexation by Marana meant developers wouldn’t have to abide by the Sonoran Desert Conservation Plan, as adopted by Pima County in 2001 that limit development in critical biological areas to 80% open space. The current plan for 178 single story homes is an environmentally sensitive plan with fewer lots than were included in the original submittal. The current plan includes 60% open space. Approval of this rezoning request will facilitate reopening Scenic Drive which should improve traffic movement in the area and significantly reduce local traffic on Moonfire Drive which is a residential neighborhood street. Clustered development like what is being proposed is superior to lower density larger lots because it provides a comprehensive solution to protecting the environment and wildlife corridors. The developer is committed to retaining some component of the original lodge and patio in order to recall the history of Lazy K.
The developer is committed to preserving natural washes, wildlife corridors, and significant vegetation and is including a 150′ unzoned buffer around the perimeter of the property to assure that those areas will never be developed. Marana has a growth mindset when it comes to projects that are well thought out and in keeping with the town’s desire to protect the natural resources of the Sonoran Desert. The Lazy K proposal fits into that category.